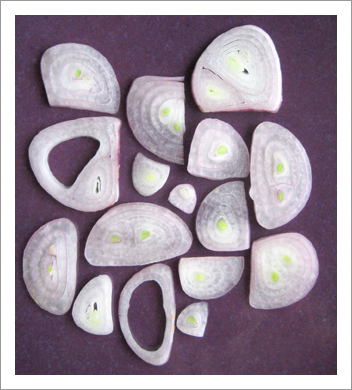 I couldn’t help but notice how retro cool these shallot slices were as I was chopping them for soup the other day. A great pattern on sheets or fabric. 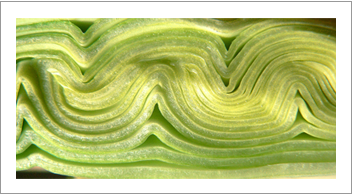 Thanks to the allium family for giving us great patterns, like the leek below.